As someone who loves cooking with fresh seasonal produce I thrive on visiting the local farmers market every Saturday morning, eating plump little cherry tomatoes from our backyard tomato vine and enjoying all the fresh vegetables that Isaac’s parents grow in their garden throughout the summer and fall. I can’t imagine a world without fresh food being available at anytime I want, but I know that for many people this is a reality. And it’s not just something of concern for those living in third world countries. Many people in the US and other developed countries simply do not have access to affordable fresh, quality produce — or awareness of how and why to best integrate into their diet. These areas of the country are called food deserts and surprisingly Richmond, VA is one of the largest. I honestly never would have guessed this, but I’m glad I know now because it hits close to home and gives me even more motivation to take action in making a difference. 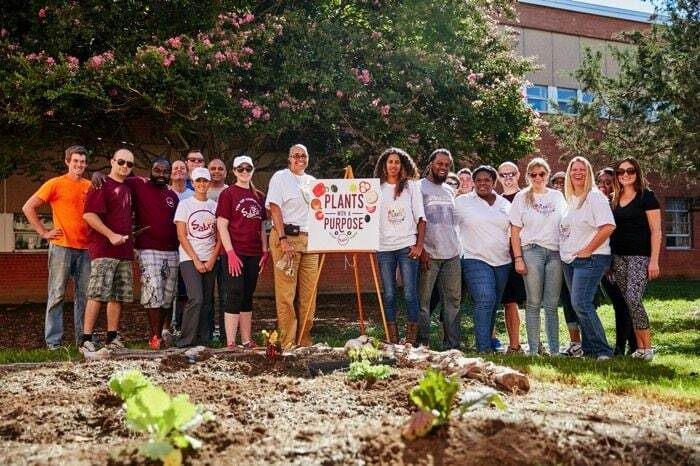 Recently Sabra invited me to participate in their Plants with a Purpose initiative on campus at George Wythe High School, a local school here in Richmond. 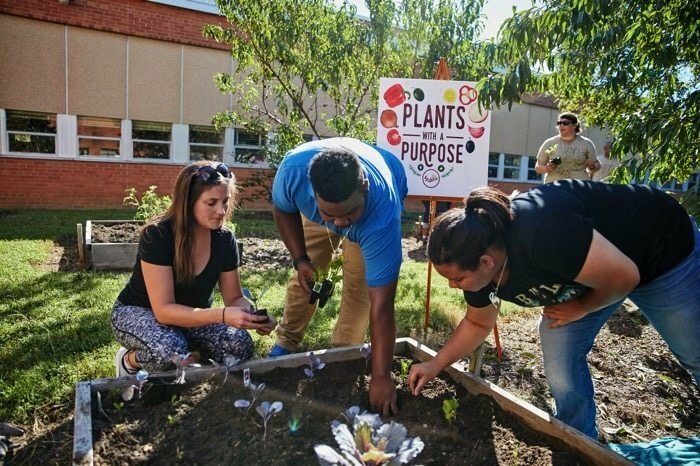 Plants with a Purpose is a dedicated effort aimed at reducing the impact of food deserts. 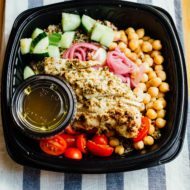 Sabra is all about creating fresh ways of eating and connecting, often through hummus and fresh veggies. 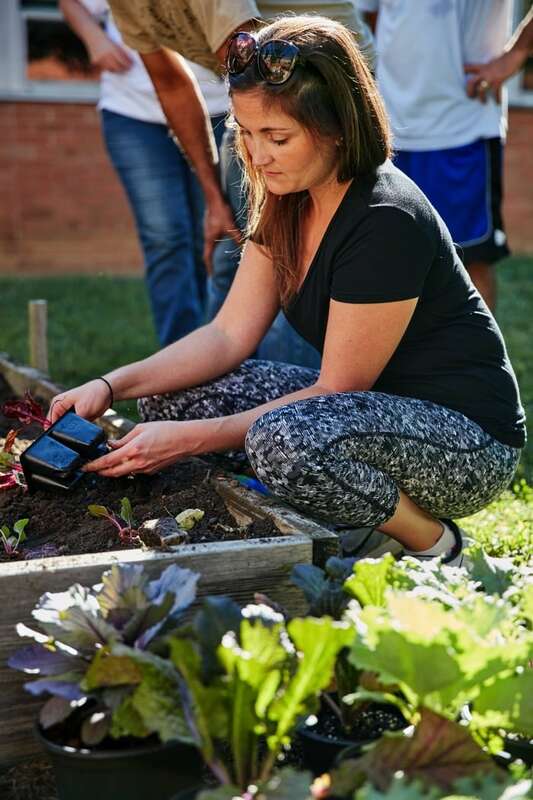 With this in mind, Sabra built an organic employee workshare garden on their Virginia campus and is partnering with Renew Richmond to increase access to fresh produce throughout the community. 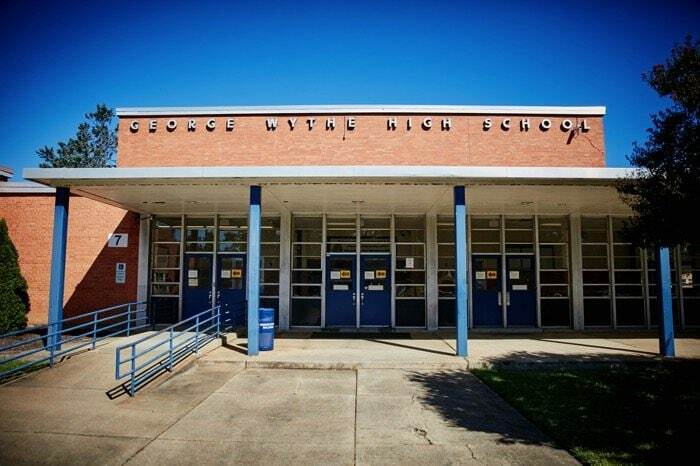 I joined them at George Wythe High School for a service day with Sabra employees, experts and volunteers from Renew Richmond to help students of the school expand and enhance the garden area in the school’s central courtyards. 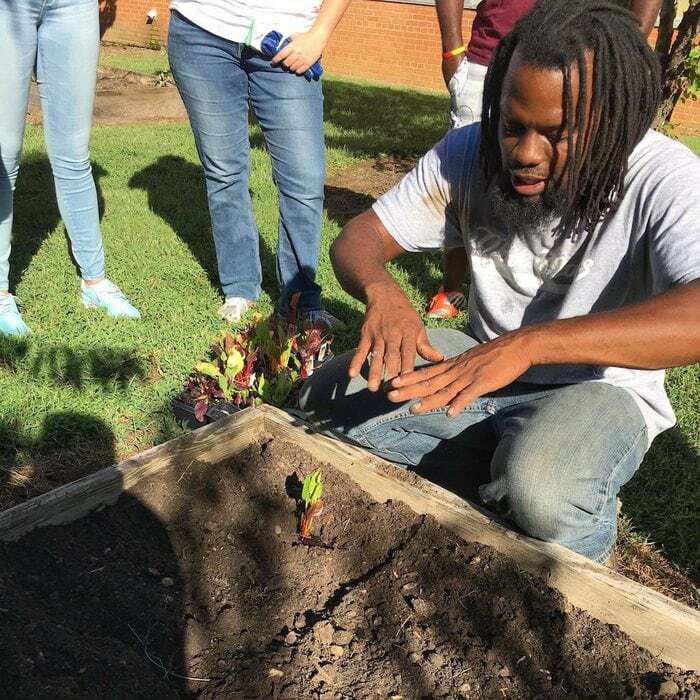 Activities included installing garden towers, weeding and planting fall crops as well as education about soil preparation, fall crop care and watering. It was a really cool experience to be a part of. Not only did I enjoy the community effort, but I learned some new gardening tips from the Renew Richmond experts as well. 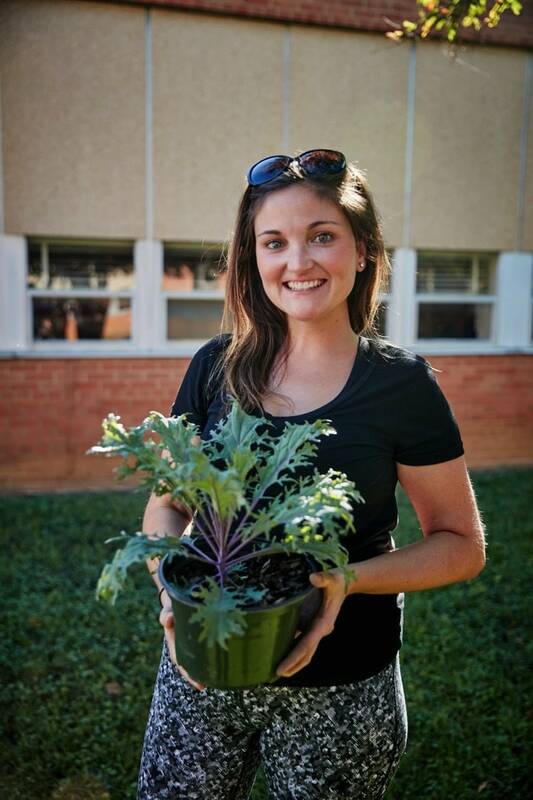 We planted a variety of fall crops including beets, cabbage, kale, kohlrabi and swiss chard. These were new vegetables to many of the kids so we were talking about how they tasted and different ways to cook them. 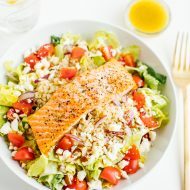 I’ve found that often times people (myself included) are looking for unique ways to prepare fall veggies. 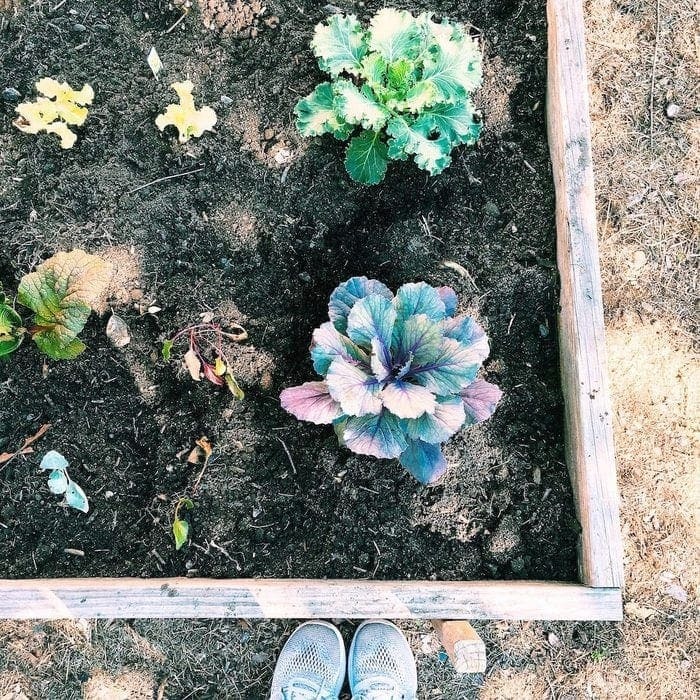 So if you are newer to gardening and find yourself with a crop of fall veggies and out of ideas, here are some of my favorite recipes with vegetables harvested throughout the fall and winter months. Enjoy! If you’re local and interested in helping address food deserts in Richmond be sure to check out Renew Richmond and Tricycle Gardens. Both are huge assets to the Richmond community and they’re always looking for volunteers to help out. This post is sponsored by Sabra Dipping Co. 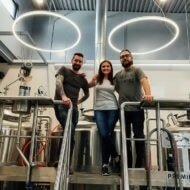 I appreciate what they’re doing for the Richmond community and loved being involved with this project. What a handy guide!! Thank you for the recipe links, too.